Each year we have a year-end potluck for our interns and each year I try to create a new cupcake flavour combination, usually containing a bit of alcohol. 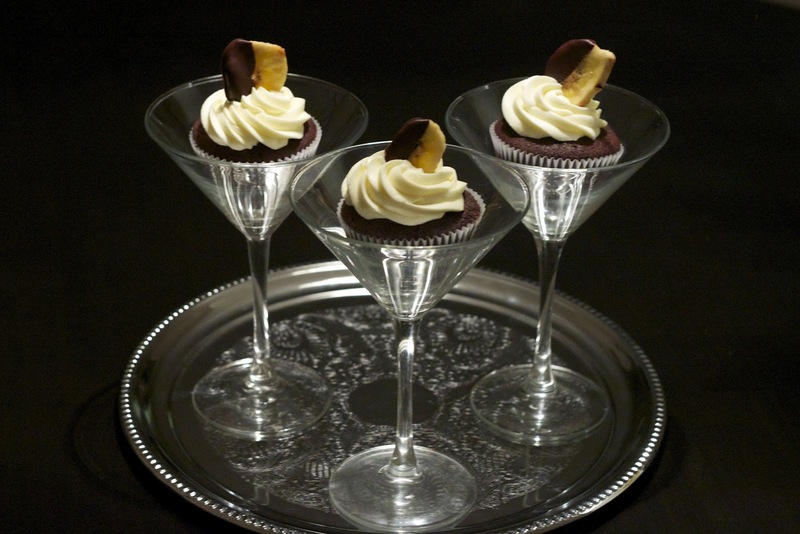 In previous years, I have made Guinness chocolate cupcakes with Bailey's frosting, 'Cream-sicle' cupcakes containing Cointreau and Godiva white chocolate liqueur, and cookies and cream with Oreos and again, Godiva liqueur. This year, as we are in the midst of moving, my husband has packed away quite a bit of our liquor cabinet. Apparently there was no rhyme or reason to what he packed away, with the exception of his bottles of scotch. Gone was my bottle of Bailey's and my bottle of Godiva liqueur. 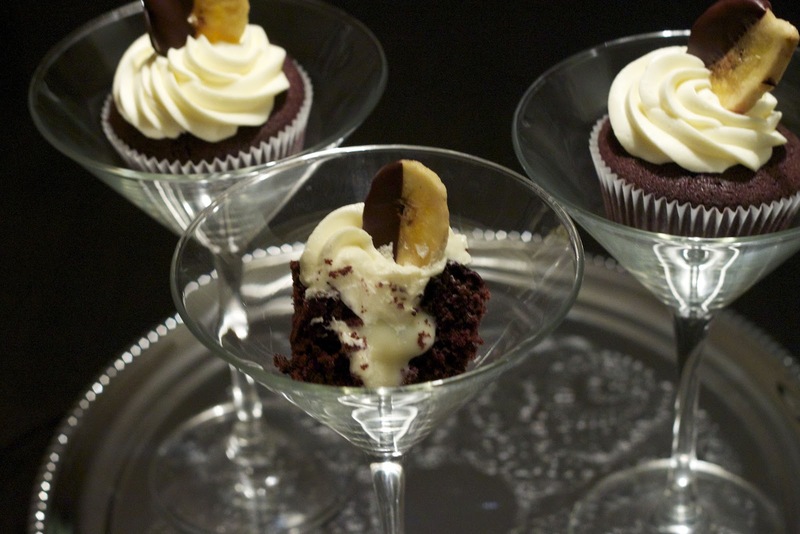 What I did find was a bottle of creme de banane, so I got the idea to make chocolate cupcakes with a creme de banane frosting. 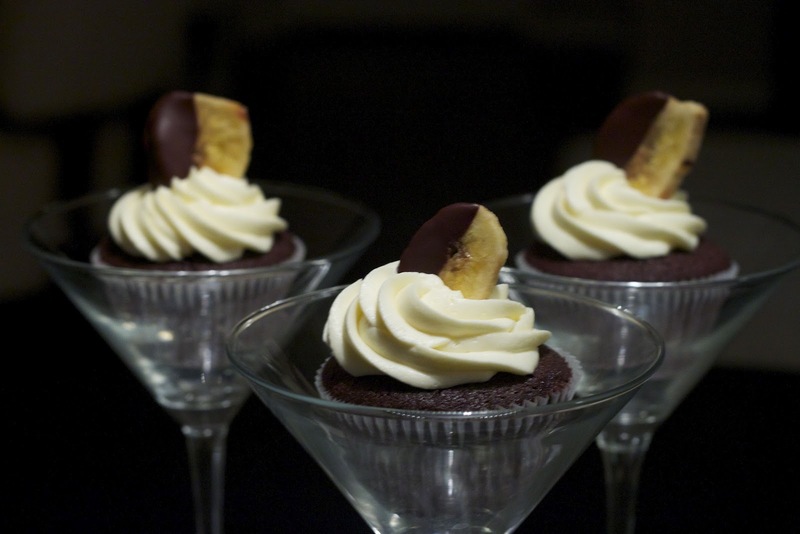 A Monkey Martini is typically made with vodka, creme de cacao, and creme de banane. I have seen variations with the inclusion of Bailey's, however since that was packed away, it didn't make it into the cupcake. Creme de cacao is a colourless chocolate liqueur with a hint of vanilla. I did not have any of this but wanted to capture the flavour in the cupcake. I decided to make a white chocolate ganache to fill the chocolate cupcakes. The ganache filling was made with cream, Callebaut white chocolate callets, and a little vodka. 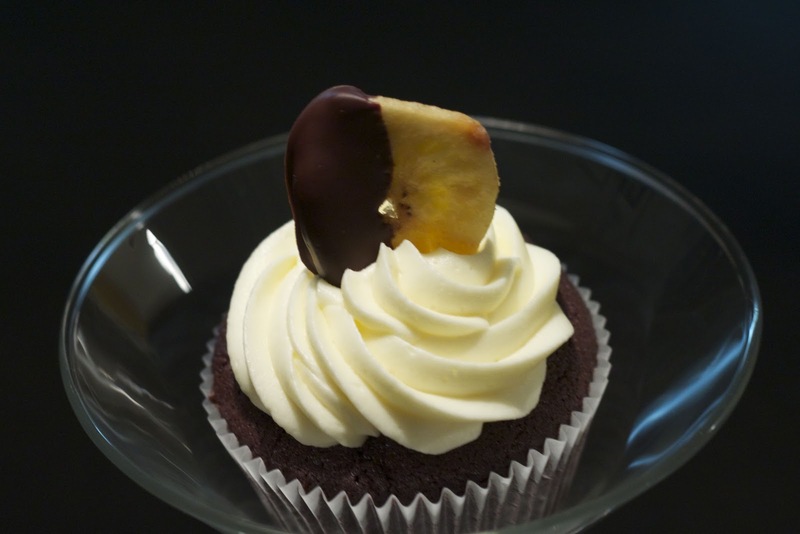 The frosting was flavoured with vanilla and creme de banane. It tasted like a banana popsicle. Yum! I garnished each cupcake with a banana chip dipped in Callebaut bittersweet chocolate. Looks sweetalicious. Would it be possible to post the recipe.